Some years ago, my brother brought my attention to this man, who is in an elite group in Schaghticoke: member of the U.S. House of Representatives. Thomas’ predecessors in this role were Job Pierson and Herman Knickerbacker, both of whom served in the early 1800’s. All three men were lawyers who served a brief time in Congress, Herman just one term, Job two, and Thomas just a few months. But while Job and Herman went on to become Rensselaer county judges, with busy law practices on the side, Thomas basically was a farmer, who moved to Michigan soon after his service. Thomas Cornell Ripley was the son of Abner and Ann Cornell Ripley, born in 1807. A couple of sources say he was born in Easton, a couple in Broadalbin, Fulton County, and the 1855 census says he was born in Saratoga County. I feel he had an early association with Schaghticoke, as there was an A. Ripley in the 1810 census of the town, listed near the Masters families in the northern part of town. That indicates Easton as the proper birthplace to me. By 1820, and thereon, the Ripleys lived in Broadalbin, probably the source for saying that Thomas was born there. In any event, Thomas was a good farmer’s son, but clearly smart. He taught school for a couple of winters before going to R.P.I., where he was in the third graduating class in 1828. He returned to Fulton County, where he studied law with Daniel Cady, father of suffragette Elizabeth Cady Stanton. Cady, a firm Federalist, was a lawyer, who served in the U.S. Congress from 1814-1817, and later in life became a N.Y. Supreme Court Justice. Thomas practiced law in Little Falls in 1833, but moved to Schaghticoke about 1835. He married Ruth Richards, daughter of Dr. William Richards of White Creek, in 1836. Thomas and Ruth settled in Schaghticoke. The 1840 census shows the family, though, oddly, no occupation is indicated for Thomas, nor is he listed in the census category of “learned professors and engineers”, with the other lawyers. I feel that is just an error. By the 1850 census Thomas, now 43, was listed as a lawyer who owned $2500 in real estate. Wife Ruth was 40, and the couple had two children, Juliett, 12, and Sarah, 5. Thomas and Ruth and the girls also appeared in Schaghticoke in the 1855 NYS census. The following year, they moved to Saginaw, Michigan. In his years in Schaghticoke, Thomas practiced law and got involved in politics. He was Secretary of the Schaghticoke Whig Convention that first year he came to town, and was elected a delegate to the Whig County Convention. He was a constant member of the Schaghticoke delegation from then until his departure for Michigan. Fellow local Whigs included Amos Briggs, co-owner of most of the mills in the gorge of the Hoosic River, and Wyatt Swift, President of the Schaghticoke Powder Mill. The only office I can find Thomas held before election to the U.S. House of Representatives was as a School Inspector in Schaghticoke. He must have been impressive to his fellow Whigs, however, because when Congressman Richard Herrick of Greenbush died suddenly on June 20, 1846 in Washington, D.C., in the middle of his term, Thomas was nominated and then elected to fill his place. The report of the nominating meeting said he was a “young and able member of the legal profession, a consistent and efficient Whig, in every way morally and politically deserving of the warm support of the whole Whig strength of the County.” Thomas served just from December 1846 to March 1847. Fellow Whigs included Daniel Webster and Henry Clay. It seems likely that the Ripleys chose to move to Michigan as part of a migration of Thomas’ whole family. His four siblings moved to Michigan as well, along with his mother. His father had died in 1850. Saginaw, Michigan was booming at the time, a center of the lumber industry. I have been unable to find Thomas and Ruth in either the 1860 and 1870 census for Saginaw, though I know they were there. The non-population portion of the 1860 census lists Thomas along with other farmers. He owned 80 acres of land worth $3000. He had six milk cows and six other cows, and nine swine. The year before the land had produced 100 bushels of wheat, 50 or rye, and 100 of oats. Both of the Ripley daughters married and stayed in Michigan. 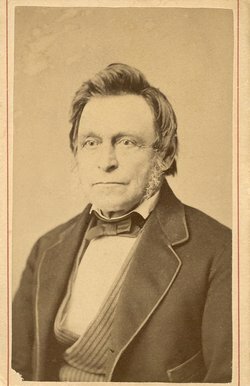 Thomas did get involved in politics in Michigan, joining the Republican Party shortly after its founding in 1854, according to a history of Michigan. He served as a local school superintendent, and was elected to the Michigan House of Representatives in 1873- 1874. A Wikipedia article says he practiced law in Michigan as well. By the 1880 census for Saginaw, Michigan, Thomas was 73. He was listed as a retired farmer, living just with wife Ruth, now 64. Ruth died in 1890 and Thomas in 1897, aged 90. They are both buried in Saginaw.